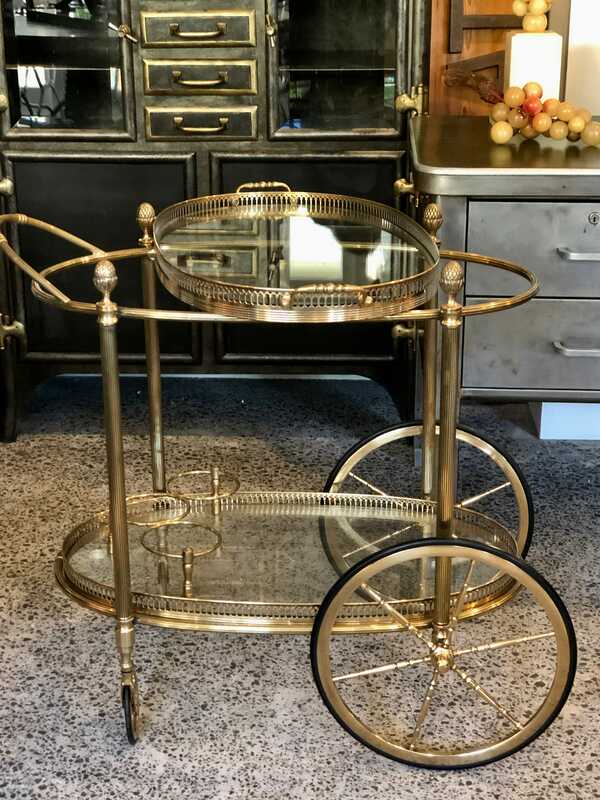 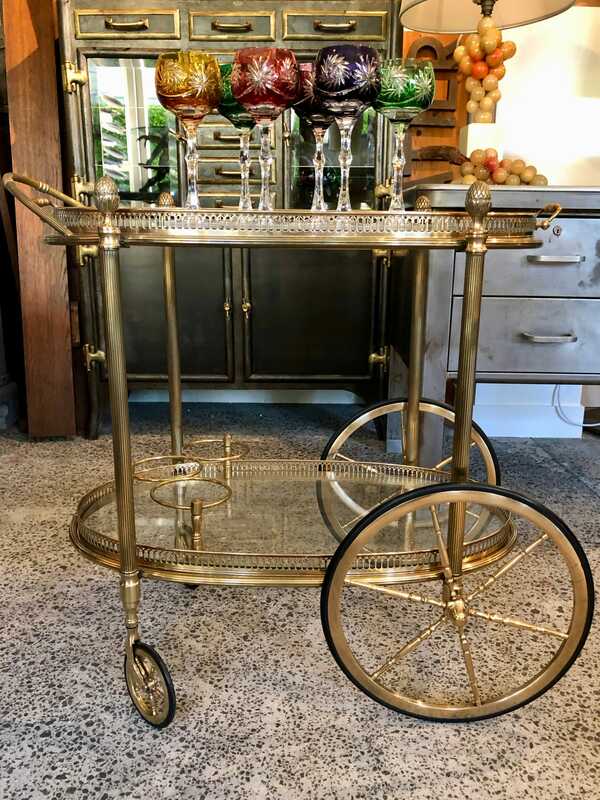 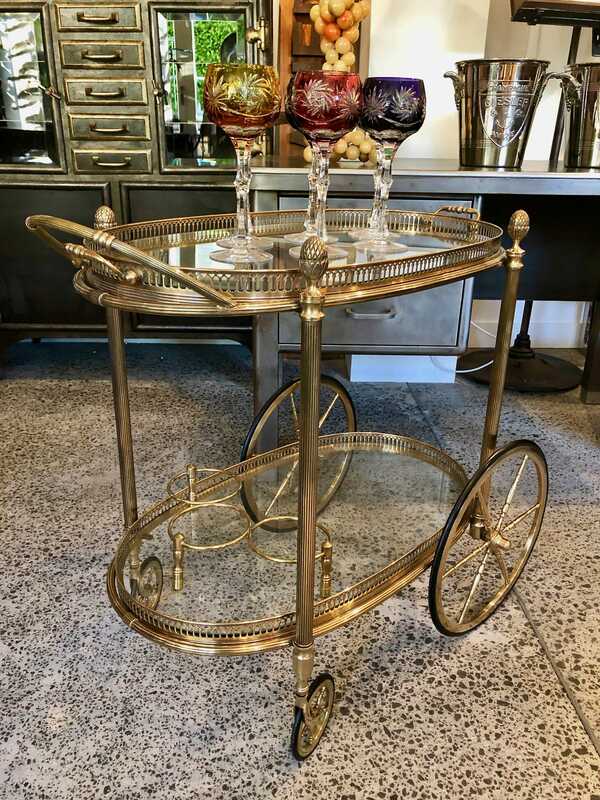 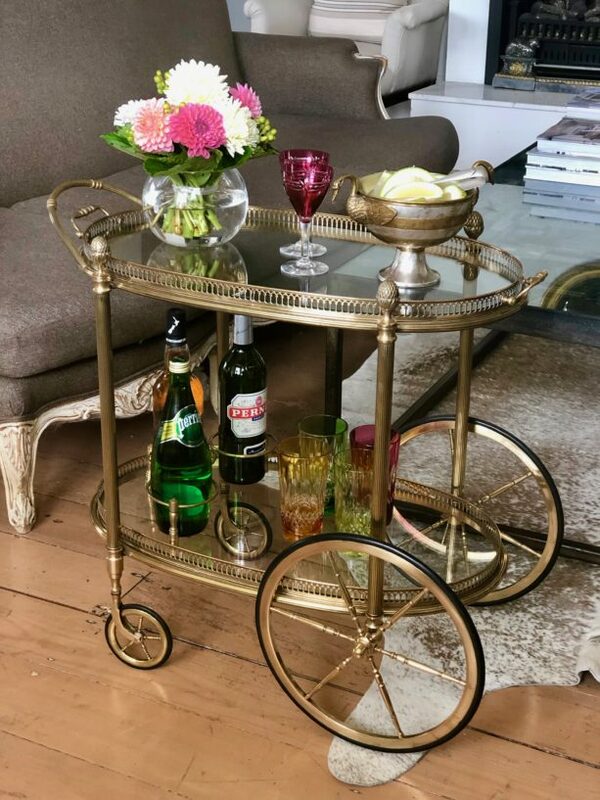 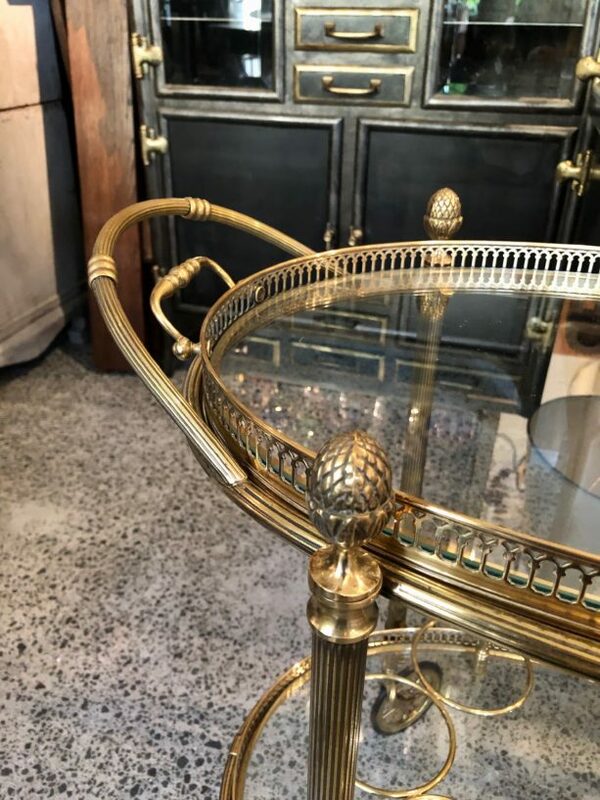 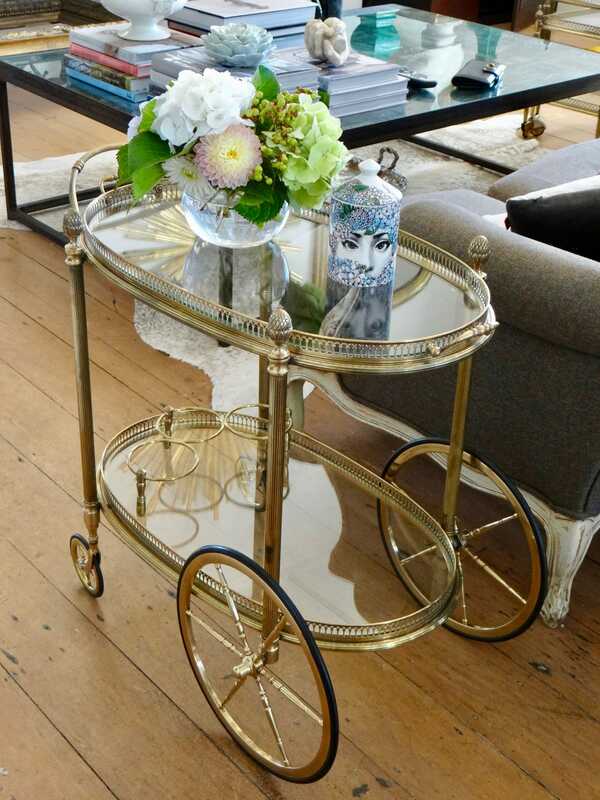 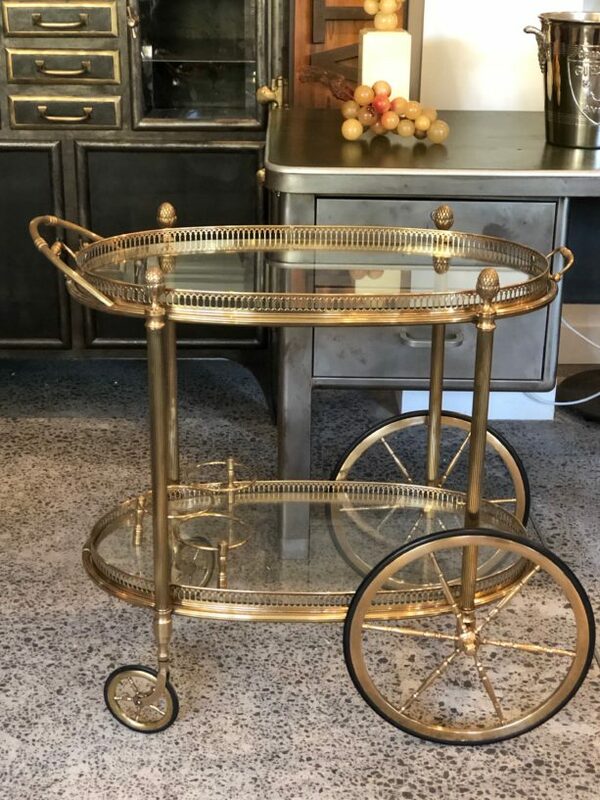 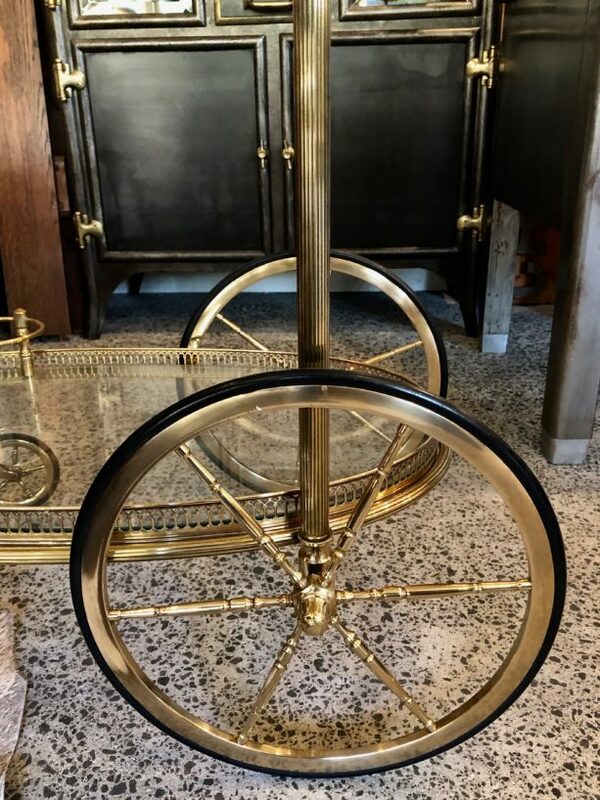 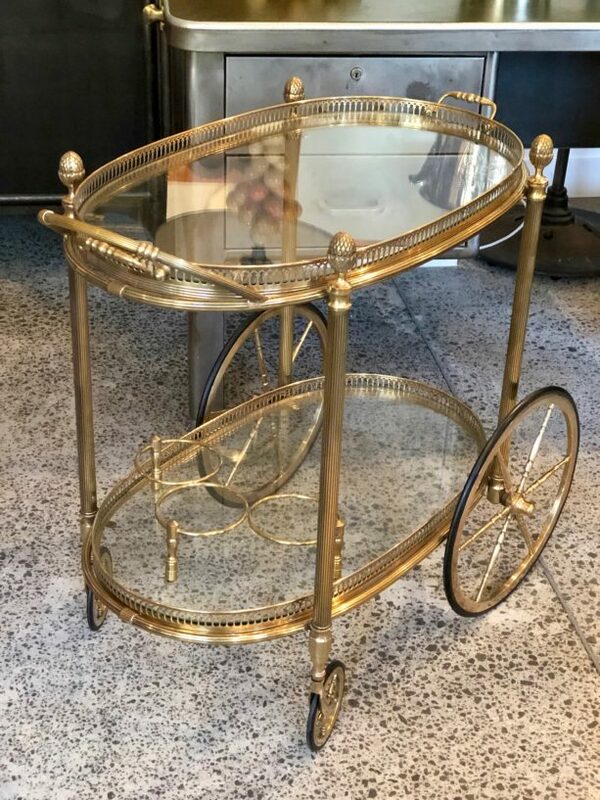 A lovely French oval drinks serving trolley with charming acorn finials. There are two tiers of glass and pierced brass; the top being a removable tray with handles for serving, and the bottom holding bottles and the like. 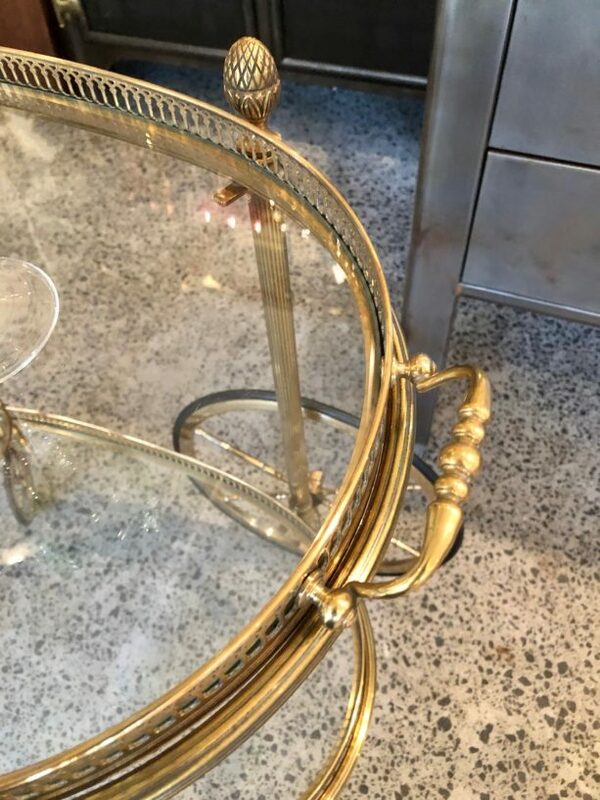 Attributed to design house Maison Bagues.